Held in partnership with Social Cinema @ New America. A post-screening panel discussion with director Stephen Maing, NYPD officer Richie Baez, film subjects Pedro Hernandez and his mother Jessica Perez, and The Bronx Defenders attorney Karume James will be moderated by New York Times Metro reporter Ashley Southall. 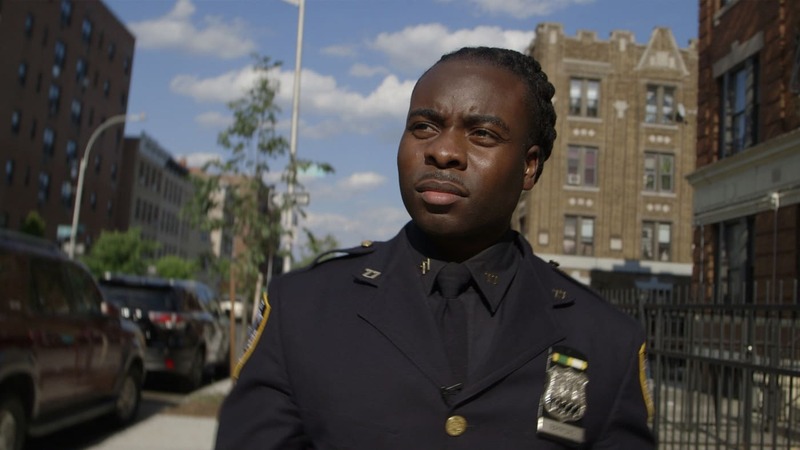 Crime + Punishment chronicles the real lives and struggles of a group of black and Latino whistleblower cops and the young minorities they are pressured to arrest and summons in New York City. STEPHEN MAING is an Emmy-nominated Brooklyn-based filmmaker. His feature documentary, High Tech, Low Life, chronicled the gripping story of two of China's first dissident citizen-journalists fighting state-monitored censorship and was broadcast nationally on PBS. His short film, The Surrender, produced with Academy Award winner Laura Poitras, documented State Department intelligence analyst Stephen Kim's harsh prosecution under the Espionage Act and was nominated for an Emmy Award for Outstanding Short Documentary. He has directed numerous films for Time Magazine, The Nation, New York Times, The Intercept, PBS and Field of Vision including the Times Documentary Hers to Lose which was awarded a World Press Photo Award for Long Features. Stephen is a Sundance Institute Fellow and recipient of the International Documentary Association's inaugural Enterprise Investigative Journalism grant as well as a John Jay/Harry Frank Guggenheim Reporting Fellow. His most recent film Crime + Punishment was filmed over four years and received a Special Jury Award for Social Impact Filmmaking at the 2018 Sundance Film Festival. RICHIE BAEZ has been an NYPD police officer for 14 years and is a member of the NYPD 12. JESSICA PEREZ and her son PEDRO HERNANDEZ are film subjects in Stephen Maing’s documentary Crime + Punishment which follows Hernandez’s unlawful detainment at Riker’s Island for attempted murder. He was held in the jail for 8 months on a $250,000 bail for a crime that was later dismissed without trial. KARUME JAMES is currently a staff attorney with The Bronx Defenders in the Criminal Defense Practice, where he has represented hundreds of low-income clients charged with misdemeanor and felony criminal offenses. Karume received his J.D. from Brooklyn Law School in 2014, where he was an Edward V. Sparer Public Interest Fellow, Associate Research Editor for the Brooklyn Law School Journal of Law & Policy, a member of the Brooklyn Law School Moot Court Honor Society, Trial Division, and a recipient of the Regina Crea Memorial Prize at graduation for the most devoted and disinterested service during law school. Karume began his career as a grassroots organizer, first representing nearly 1,000 unionized healthcare workers at UCLA Hospital, and later as a lead community organizer in South Central Los Angeles and the South Bronx, where he led advocacy campaigns to hold police accountable, increase youth recreational programming to reduce rates of crime and violence, and build community-based resident leadership. Karume remains actively involved in community-based and civic leadership organizations. He is currently a board member with the Metropolitan Black Bar Association (MBBA) and the co-chair of the Community Service Committee, and is a member of the American Bar Association, the New York State Bar Association, the New York Democratic Lawyers Council, and was a 2016 New Leaders Council Fellow. Karume holds a B.A. in African American Studies with a concentration in Psychology from UCLA. ASHLEY SOUTHALL is a criminal justice reporter at The New York Times. A graduate of Howard University, she was part of a team at The Times that examined the driving forces behind murders in the 40th Precinct in the South Bronx. She previously covered breaking news events like the fatal police shooting of Michael Brown and the Charleston church massacre, and she worked as a news assistant contributing to coverage of Washington under President Barack Obama. Her current journalistic interests include domestic violence, police discipline, bail reform and the effort to close the Rikers Island jail complex.